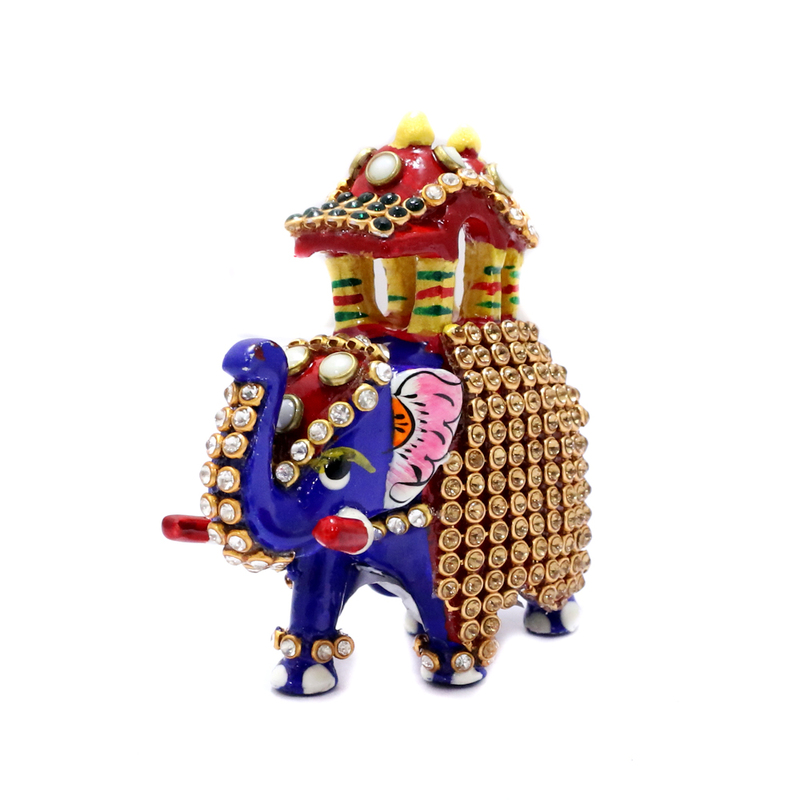 Keep this royal looking showpiece in your living space to enliven the area. 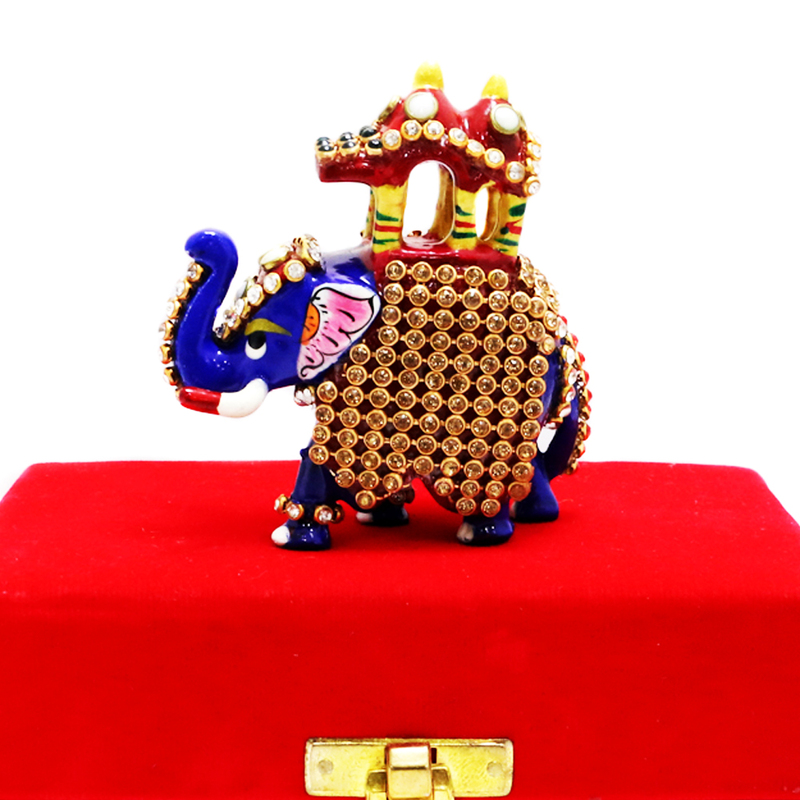 The elephant has a metal body and comes with a stylish red Read More..coloured velvet made packing case. 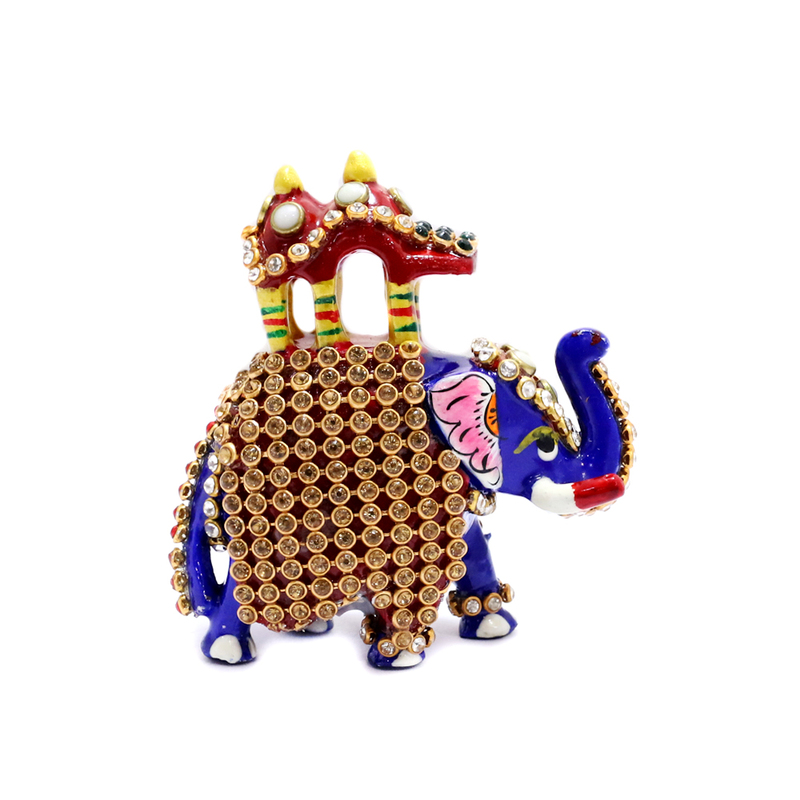 The elephant structure is densely garnished with stone and meena art work. Show Less..